Even though my home mountains in Engelberg Valley are covered with lots of snow since early winter, we went south to ski offpiste. 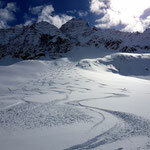 We headed to Passo del Tonale, just north of Adamallo massif. 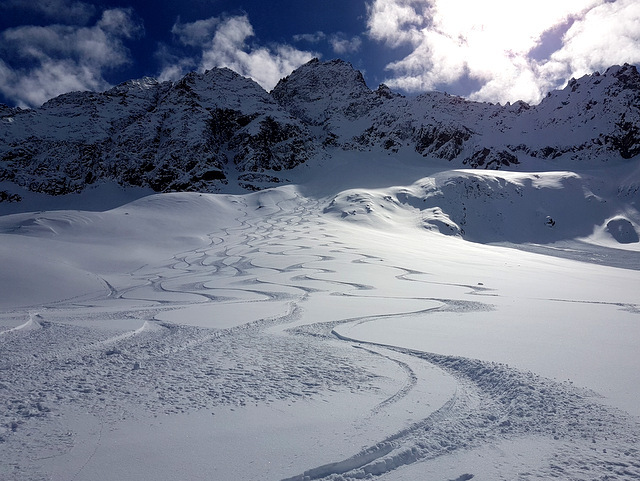 Passo del Tonale offers great skiing for those you don't mind to walk for their powder runs. 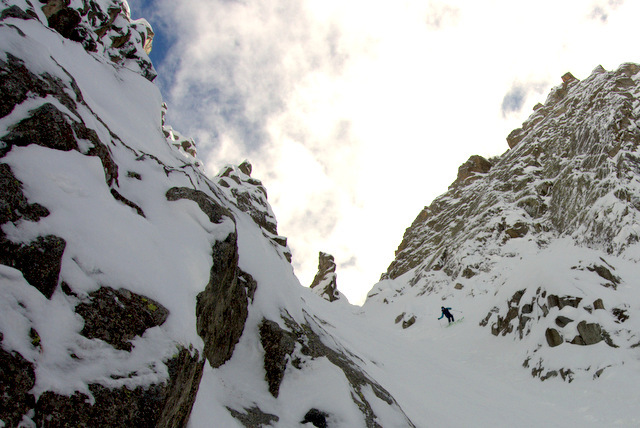 Of course we skied all the classics like Canale del Diavolo and Canale del Dito, where we found pristine powder snow. 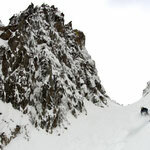 Not to be missed is also the ski trip south to Passo di Pisgana and ski all the way down to Ponte di Legno. 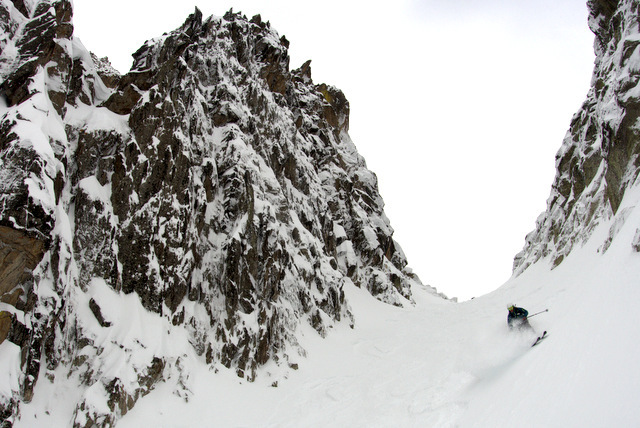 Once you ski down this valley to Ponte, you see all these steep ski lines waiting to be skied.